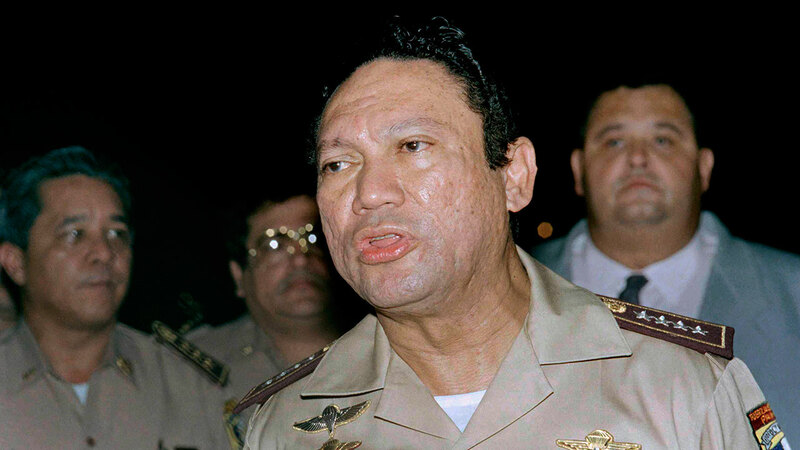 Manuel Noriega, the former military dictator of Panama, has died at age 83. An official with Santo Tomas Hospital in Panama City confirmed his death to ABC News. He died at 11 p.m. local time. Juan Carlos Varela, Panama's current president, tweeted that the "death of Manuel A. Noriega closes a chapter in our history; his daughters and their families deserve a funeral in peace." The former general ruled Panama from 1983 to 1989 until U.S. forces invaded and removed him from power. He was then charged with a range of drug trafficking offenses in Florida and sentenced to 40 years in prison. He was then extradited to France in 2010 and found guilty of money laundering. The next year he was extradited to Panama where he faced charges of having a political rival killed. In later years he struggled with a variety of health problems in prison and underwent surgery for a brain tumor two months ago that left him with serious complications.